This PCI Express Card expands your PC by two Power Over eSATA ports. 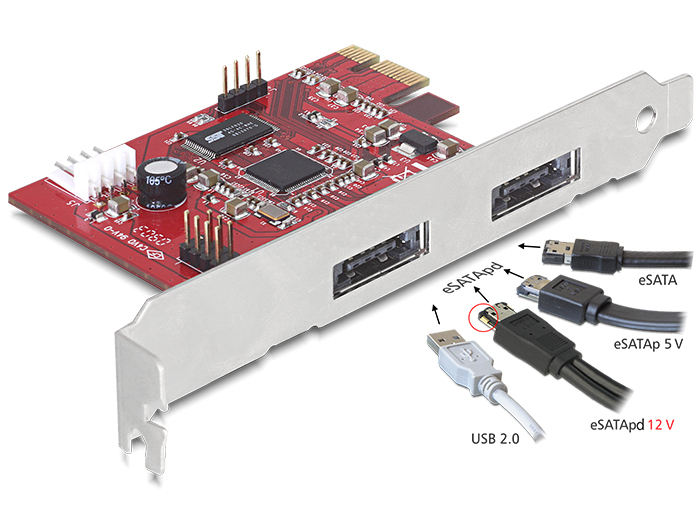 This interface enables you to connect not only Power Over eSATA devices but also standard eSATA and standard USB devices, like external enclosure, card reader etc. The combination of eSATA and USB in one port enables the power supply via USB, so that you do not require any power supply when using a 2.5″ Power Over eSATA enclosure. 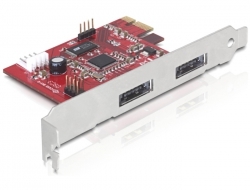 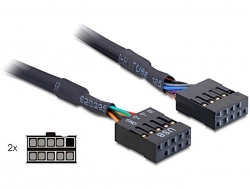 The internal 12 V connector of the PCI Express card provides you an external connection for products that require a voltage of 5 volts or 12 volts, such as a 3.5″ hard drive. 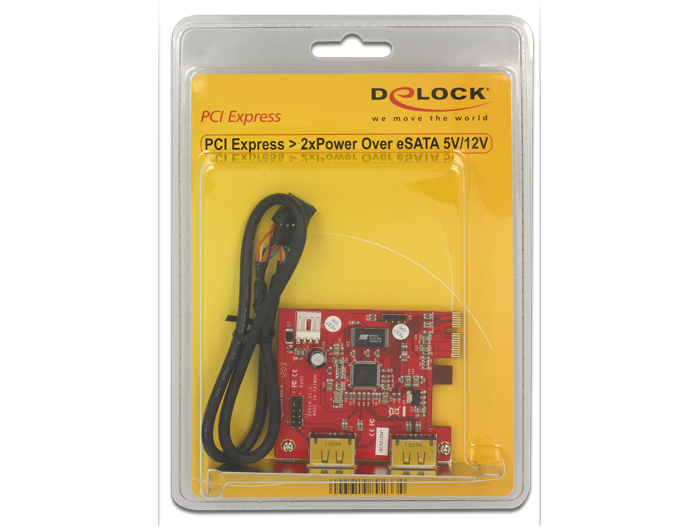 Therefor you can use optional connecting cables by Delock.